Towards New Paradigms for the Provision of Health Care Services? 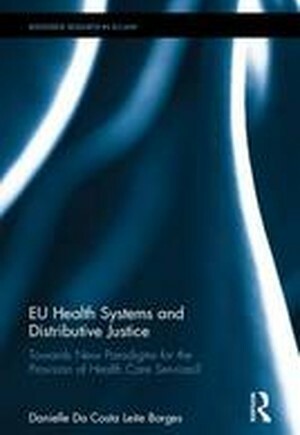 EU Health Systems and Distributive Justice uses theories of distributive justice to examine tensions created by the application of the Internal Market rules to the provision of health care services within the European Union. Using the concepts and principles embedded in the theories of egalitarianism and libertarianism, this book analyses the impact of the Internal Market rules on common values and principles shared by European health systems, such as universality, accessibility, equity and solidarity. This analysis is conducted using the specific issue of cross-border health care. This book makes innovative contributions to the study of the relationship between EU health systems and the Internal Market - it encompasses the analysis of all principles recognised by EU institutions as guiding principles of European health systems; it integrates human rights law and practice into the discussion of the EU Court of Justice's approach to patient mobility cases; and it assesses the potential impact of the Internal Market over EU health systems through the lens of distributive justice, looking at the underlying principles of these systems that are mostly concerned with social justice. Ultimately, this is not a book on EU law and health care, but it is a book on distributive justice, health care and the principles and policies guiding European health systems.